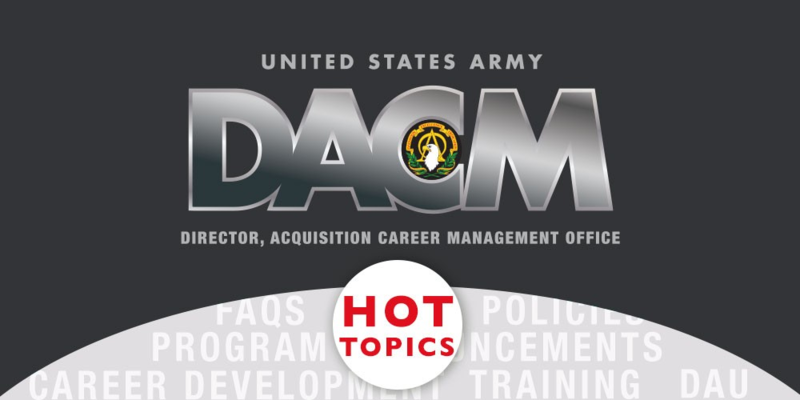 This is the last month to fulfill your calendar year 2015 annual ethics training requirement (see details in the October Army DACM Newsletter). The Acquisition Leadership Challenge Program nomination window opened on November 12 for second-quarter classes. This announcement closes December 10. FY16 Product Director Centralized Selection Board opened October 26. It closes December 17. FY17 Command Input window opens November 9 and closes December 11. FY17 Winter MAPL Review Board is Jan. 25-29, 2016. 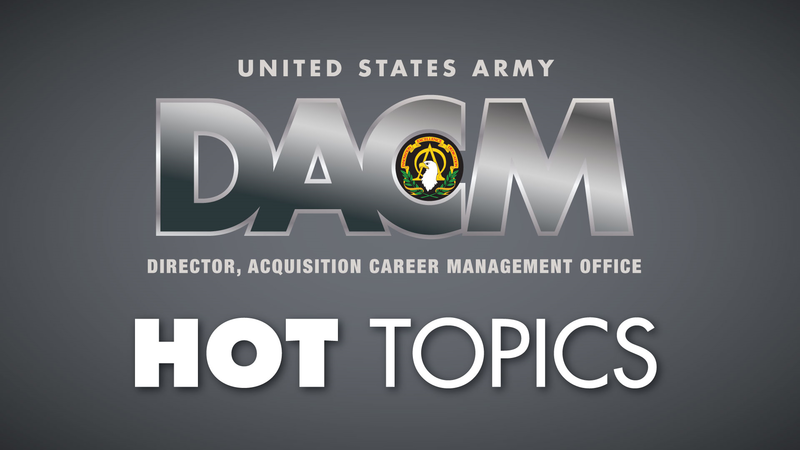 The Training with Industry announcement for noncommissioned officers is open through Jan. 8, 2016. The Defense Acquisition University – Senior Service College Fellowship announcement window opens December 14 and closes March 9, 2016.